Vintage Autumn is a collection of 16 Halloween designs by Chick-A-Dee Hollow. The designs are pre-printed and pre-colored. All you do is add the embroidery to bring them to life. Each one measures approximately 4″ x 5″ and they make a beautiful grouping. Scare E Crow thinks he is doing his job. It seems he is oblivious to the crow on his head! The moon is looking rather dapper, wouldn’t you say? Little Mittens the kitty is just looking for trouble I think. Is that Mittens hiding behind the hat? It looks like Lil Goblin‘s treat bag is full – the candy is start to overflow. I love the little feet poking out of the bottom of the costume. So cute. Hmmm. Zelda doesn’t have any feet?! Trick-or-treater or real goblin? These are great little take along projects. After the embroidery you can add embellishments. Well, sad to say, but summer is almost over and fall will be upon us before we know it. It’s time to add a bit of autumn decor to your home. These quilt patterns are just the start of what you can find with an autumn theme. Delectable Autumn by Sew Many Visions has instructions for a mantle throw, a table runner and place mats. The appliqued leaves seem to dance across the center of the table runner. Batiks would really make the leaves come alive. Autumn Star Pattern by Rachel’s of Greenfield has a block that is so versatile. Make all three layouts in pretty fall colors and you’ll have a nice grouping for your wall. Then make the same three in Christmas fabrics and you’ll have a head start on your Christmas decorating. You’ll be ready to swap out the autumn and bring in the Christmas when it’s time. 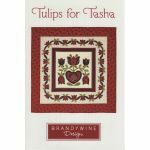 If you find you like making wall hanging sized quilts, this designer has lots of wall hanging patterns as well as several punch needle embroidery patterns. Ok, you have the table covered, the mantle covered and wall hangings up. Now for a lap quilt… Autumn Stars Lap Quilt by Kay Gentry looks like just the one. Only 15 blocks, a couple borders and you are finished. When you finish all your Autumn projects you can curl up under this lap quilt while you browse your lap top for the perfect Christmas patterns and Christmas fabrics. Before you know it we’ll be looking at Spring and Summer patterns and fabrics again. Seems like each year goes by a little faster than the last. I’ve been dying to play with the new smocking products from Clover Needlecraft. Small sewing projects, such as the Wonder Wallet, can be a great way to test out a new technique. 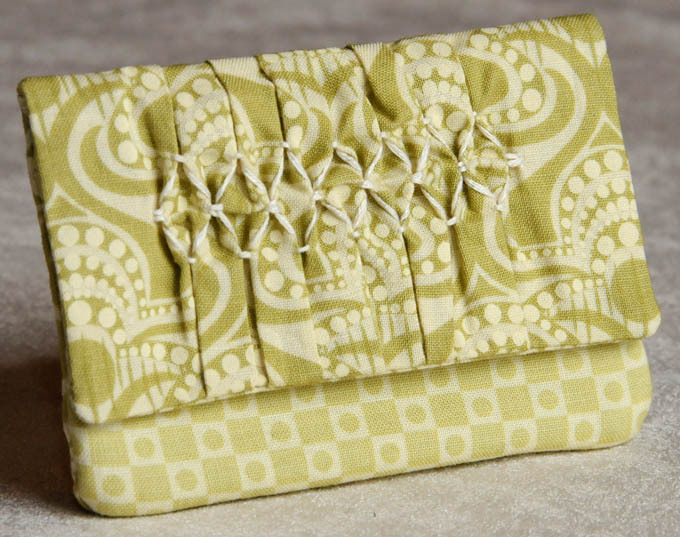 I decided to showcase a little smocking on the cover of this Wonder Wallet. Wonder Wallet with smocking detail on cover. 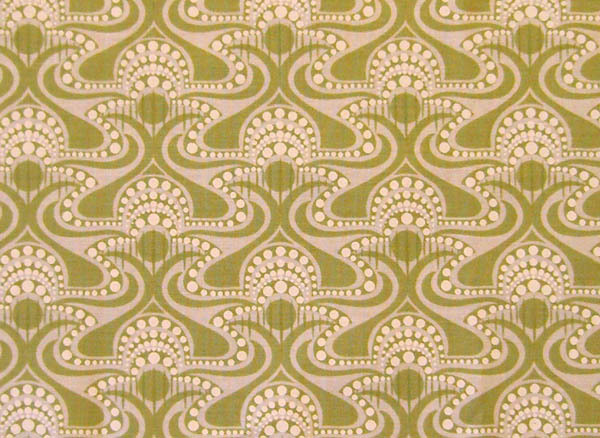 Fabrics are City Girl by Benartex. I talked about the new smocking products from Clover Needlecraft in a recent blog post here. 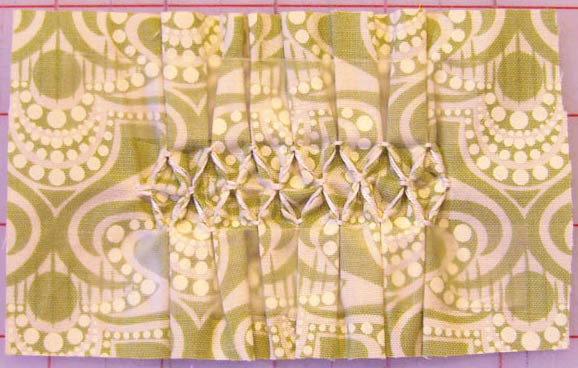 I loved this yummy green fabric and I paired it with the Diamond Design smocking product. I used four of the six strands of embroidery floss, in a luscious cream color to coordinate with the fabric. I used one of the Clover needles and their new needle threader for this project. Here is the fabric before smocking. Here is the fabric after smocking. I needed to trim around the smocking detail in order to incorporate it into my Wonder Wallet project. Due to the gathered fabric at the center of this piece, the fabric did not lie flat. So I arranged the pleats a bit, pinned the corners to my ironing board to hold everything in place, then pressed the whole thing every so lightly with a hot iron. It’s hard to tell in the photo below, but I put a piece of clear tape above and below the smocking. I used the tape to help keep things manageable while sewing along the cut edges. Click on the photo to enlarge and see the tape. I left the tape in place while I sewed this into to cover piece of the wallet. 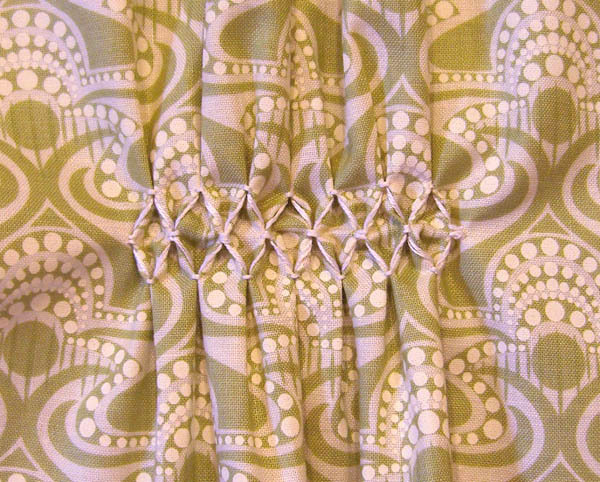 As an alternative, you could also turn under the edges and topstitch the smocked detail onto a finished item. Smocked detail trimmed for Wonder Wallet project. I like how this project turned out. I smocked a small piece of fabric, then incorporated it into the rest of the project. I found the smocking product easy to use and I’ll look for ways to use it again in my designs. What do you think? 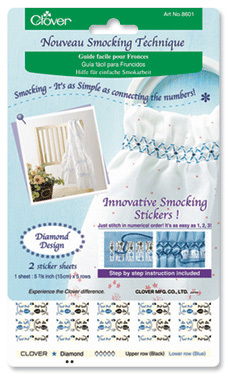 Have you tried smocking or the new Clover smocking products? Do you think there is a place in your sewing repertoire for a little smocking? Post a comment and tell me about it. There’s a needle arts party going on at the TNNA Preview Promenade! Wait until you see all the items that are debuting in the preview. The National NeedleArts Association (TNNA) hosts another spectacular trade show for the needle arts beginning late next week. As a lead-up to that show, the Designers & Teachers of The National Needlework Association have put together a ‘Preview Promenade’ to give the attendees (and the rest of us) an advance look at each of their new creations. The largest show of its kind, TNNA houses the most unique and creative designs in needlepoint, spectacular colors and fibers in handknitting yarns, diverse selections of embroidery, crochet and counted thread supplies and needleart accessories. Some items from our vendors at Quilter’s Warehouse will be on display at the show. 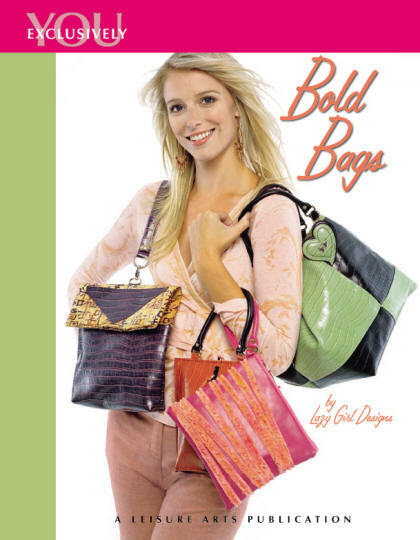 The new book Bold Bags from Lazy Girl Designs will debut to the needle arts industry at the show, but you saw it here on our blog a while ago! TNNA’s website hosts some fantastic information not to be missed by anyone interesting in needle arts. ‘Kudos’ to the Designers & Teachers of The National Needlework Association for organizing and sharing this fabulous preview with all of us! Thanks to Joan Hawley of Lazy Girl Designs for spreading the word!